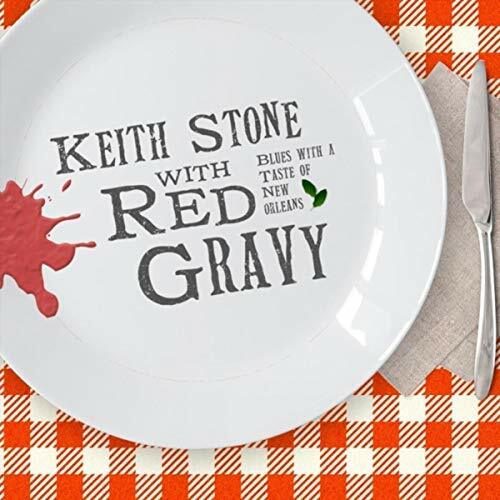 I just had the opportunity to review the most recent release, Keith Stone with Red Gravy : Blues with a Taste of New Orleans, from Keith Stone and it's quite good. Opening with jazz blueser, Ain't That The Blues, Stone is up front on lead vocal and guitar spiced up by Brent Johnson on slide and backed by Tom Worell on keys, Kennan Shaw on bass, and Eddie Christmas on drums. Digging in the funk on Love Don't Put Me Down, Shaw really sets a super groove. This is one of those tracks that really makes you wanna move and Worell's keys matched with Shaw and Christmas on drums is hot. New Orleans saucy title track, Red Sauce has a super piano line and that perfect rhythm. Soloing by Worell and strong vocals by Stone give this track solid footing. Ballad, Crazy In Love With You, has a warm mix of organ and electric piano behind some of Stone's best vocals on the release, topped off by a soulful sax solo by Jimmy carpenter. Don't Count Me Out is a solid shuffle with a cool bottom courtesy Shaw. Tight drums and rich organ feel gives Stone a great platform for his guitar and vocal lead. Latin spiced, Blue Eyed Angel has really nice percussion work by Christmas, sprinkled with the bright piano work of Worell and the solid bass work of Shaw. Time To Move On has a great funky bottom that smells like New Orleans. Stone develops a real lather here on guitar and vocal just in time for Carpenter to blow out some rad sax and trade off with Stones guitar soloing. Very cool. Slower blues track, Hard To Have The Blues is one of my favorites on the release with soulful vocals and focused guitar work. Stone really steps up on this one, laying out the blues six string style, complimented by just the right amount of piano and organ. Wrapping the release is another deeply New Orleans flavored, Something In The Water, with excellent percussion/bass exchange and that familiar piano roll. Nice closer for a solid release.